Type Tablet with pressure-sensitive, cordless, battery-free pen. 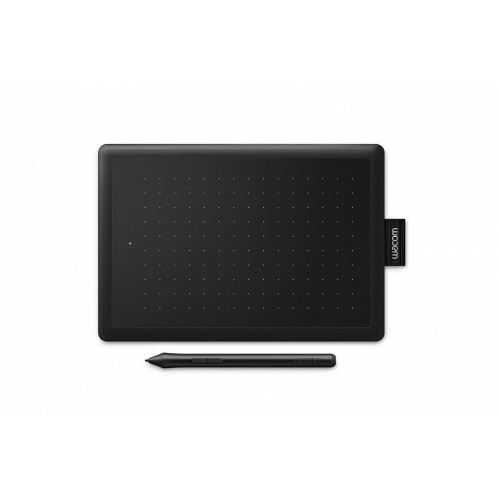 Wacom One By CTL-672/K0-C Medium Graphics Tablet has responsive, ergonomic, pressure-sensitive pen which gives you a natural way to sketch, draw, paint or edit photos. The pen doesn’t need batteries, so it's lightweight, perfectly balanced and comfortable enough to use as long as you like. This graphics tablet has 216.0 x 135.0 mm (8.5 x 5.3 in) active area, 2048 Pen Pressure Levels, 436g (tablet), 9g (pen), 2540 lpi resolution, Pressure-sensitive, cordless with battery-free pen. (LP-190K).Micro USB to USB cable is included in this tablet. The Wacom One By CTL-672/K0-C is support 133pps Reading Speed for pen. Patented electromagnetic resonance method technology is used in this exclusive tablet.It also provide 01 year warranty.